The weather in Amsterdam has been incredible for weeks now. When the weather service initially warned of a heat wave back in early June, I chuckled. But when the sun kept shining, with temperatures at unprecedented 30 degrees centigrade for weeks on end, I smiled. 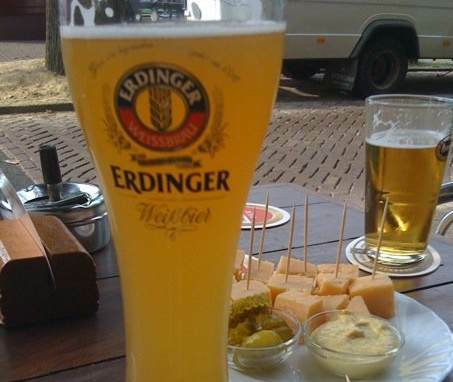 And while this meant less eating out, it also meant lots of time on Amsterdam’s terraces enjoying many a Weihenstephaner Weissbier or IJwit from Brouwerij ‘t IJ. Good suggestion, Griff! I’ve been meaning to make a list of best beer bars / pubs for a while. ‘t Arendsnest would be on there, as well as Gollem, de Zotte and a few others.